For more than two decades, Ed Butz has focused his practice on estate and tax planning, including for high net worth individuals. He is experienced in planning for special needs and elder care. In addition, he provides services in trust and estate administration, business succession, Medicaid law, and real estate law. 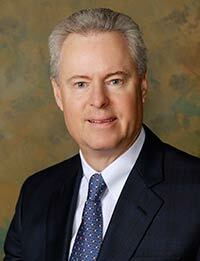 He is a member of the Estate Planning Council of the Lehigh Valley and the National Academy of Elder Law Attorneys. Traub Butz & Fogerty, P.C.